The Yealink VC110 epitomizes ease, simplicity and affordability for businesses looking to conduct video conferencing in smaller meeting rooms settings. The solution serves as a one-stop-shop for meeting business’ various communication and collaboration needs, boasting high performance at a highly preferred price. 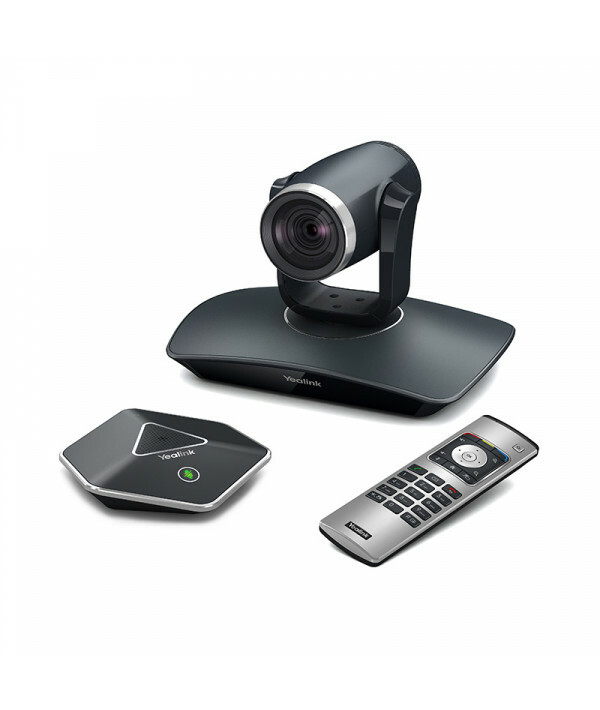 It is an ideal solution for businesses looking to cost-effectively deploy and maintain an advanced video conferencing system. For instance, the Yealink VC110 ensures data protection while allowing users to conveniently plug and playwith no further firewall configuration needed. Additionally, the solution can be deployed straight out of the box within just three minutes. What’s more, the Yealink VC110 supports a dynamic adaptable bandwidth with an 8 percent packet loss resistance, ensuring smooth conferencing even under fluctuating network conditions. Without question, the Yealink VC110 is a sound choice for today’s executives looking to strategically and competitively. Wireless Micpod or Audio conference phone - Yealink has taken user’s conferencing experience one step further with the VCM60 Wireless Micpod. Used in conjunction with the VC110, the VCM60 enables you to place a microphone in the optimal location for crystal-clear audio pickup. HD Video - The system supports full HD voice and video functionality, enabling users to streamline operations and processes with crisp, clear documents, videos and more. Optimal HD Voice - The Yealink VC110 boasts 14kHz CD level broadband, as well as a number of leading-edge professional voice processing technologies such as guaranteeing users a superb audio experience. Easy Installation - All you need is three minutes in order to seamlessly and easily install the Yealink VC110. The solution boasts camera, codec and supports Power over Ethernet(PoE), allowing users to effortlessly setup the system and integrate it with any third party equipment—for instance, like a second monitor or screen. High Interoperabiliy - Not only does the Yealink VC110 support SIP and H.323, but the solution is compatible with some of the industry’s most renowned cloud service providers and/or system vendors. This enables users to flexibly and cost-effectively expand their business reach and impact. Integration with other smart devices such as video phones, tablets and smartphones is also possible with the solution; users can video conference anytime, anywhere at their convenience.